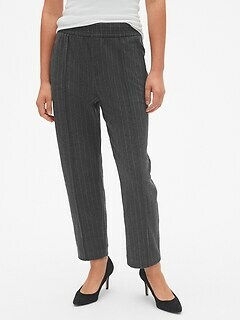 Look sleek and stylish in the fashionable assortment of women's straight leg pants at Gap. 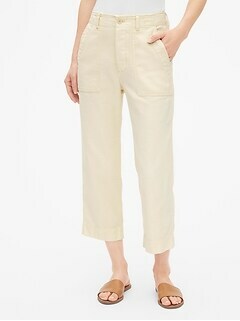 The women's straight leg pants at Gap exude classic design and are universally flattering. Choose from a variety of fits made to suit your needs. We carry women's straight pants in true straight, classic straight, relaxed fit, and broken-in varieties. Stay with your traditional solid pant or subtly change it up with mini-stripes. Gap also offers a wide assortment of colors, from different shades of khaki to other neutrals like white, olive, and navy. Find other, brighter, more fashion-forward hues in our women's straight leg pants collection as well, such as red and coral. Pick the right women's straight leg pants for your wardrobe according to your preferred features. Discover different types of pockets to highlight style or storage, from sleek besom or slant pockets to more unique kinds like cargo or coin. Find durable, yet elegant materials like stretch chino and 100% cotton that are machine-washable and easy to care for. Select from traditional button closures or more modern hook-and-bar closures. 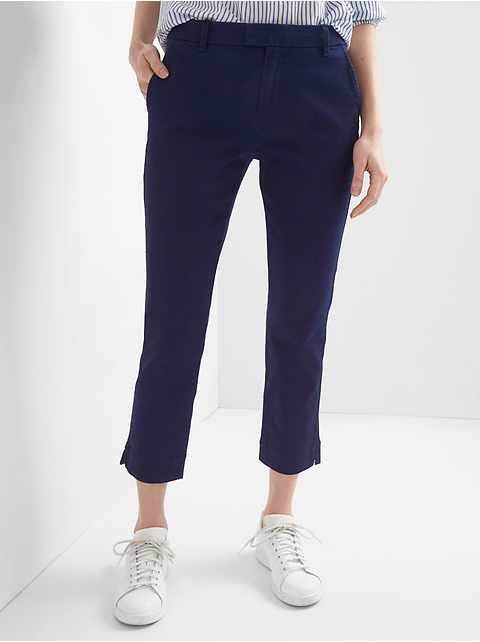 Whatever you construction elements you prefer to create a customized look, you can probably find them in the women's straight pants at Gap. Our women's straight leg pants will augment both the style and versatility in your wardrobe. For a comfortable and effortless casual-chic look, wear relaxed women's straight pants rolled up in cuffs with chucks and your favorite graphic t-shirt. Need a pretty look for the office? Choose straight-leg khakis as the bottom to any of your dressy blouses, or wear them in a darker neutral as slacks or even suit bottoms. 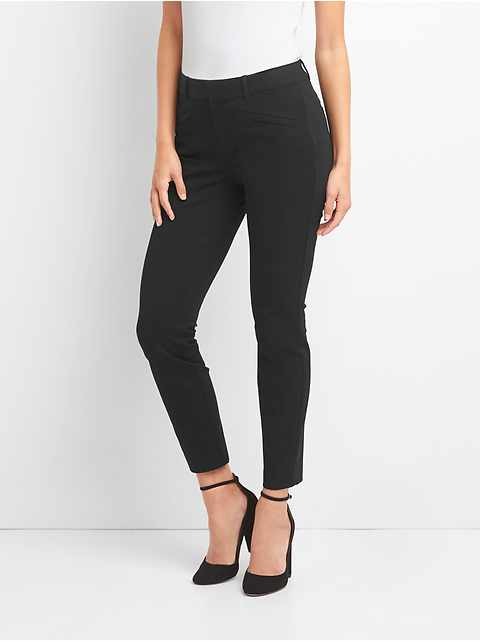 Gap's women's straight leg pants also create long, lean lines and are flattering on just about any figure. Highlight this silhouette further by pairing them with wedges or stilettos. 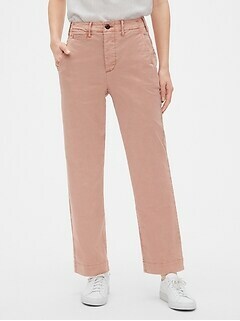 Buy women's straight leg pants from Gap for a quality, fashionable garmet that fits just right.